How long does an operator take to get a pallet? What are the routes used by the operators? What are the most congested areas? What areas are most prone to accidents? Tracking data can be analysed and used in management to define warehouse rules, forklift routes , understand if operators take too much time to get the items in the warehouse, or even how many breaks a operator takes and how long. Basically you can understand how your operators work. 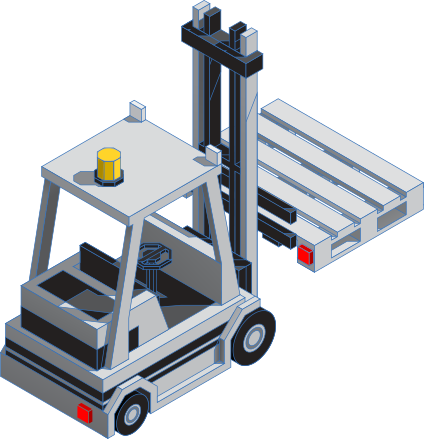 Large and complex warehouse areas are hard to manage, and is very difficult to have a realtime forklift location. Time is money and the time needed to locate a forklift that is lost in the warehouse is important. You can create areas where you don’t want forklifts to enter, or areas where you want them not to leave, these data can be reported to the cloud and used for analysis.